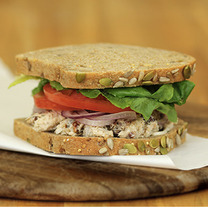 Our wholesome sandwiches and salads are layered with premium, nutritious ingredients. We bake our bread from scratch daily to ensure phenomenal flavor and health benefits, use high quality meat, gourmet style spreads, and fresh vegetables. 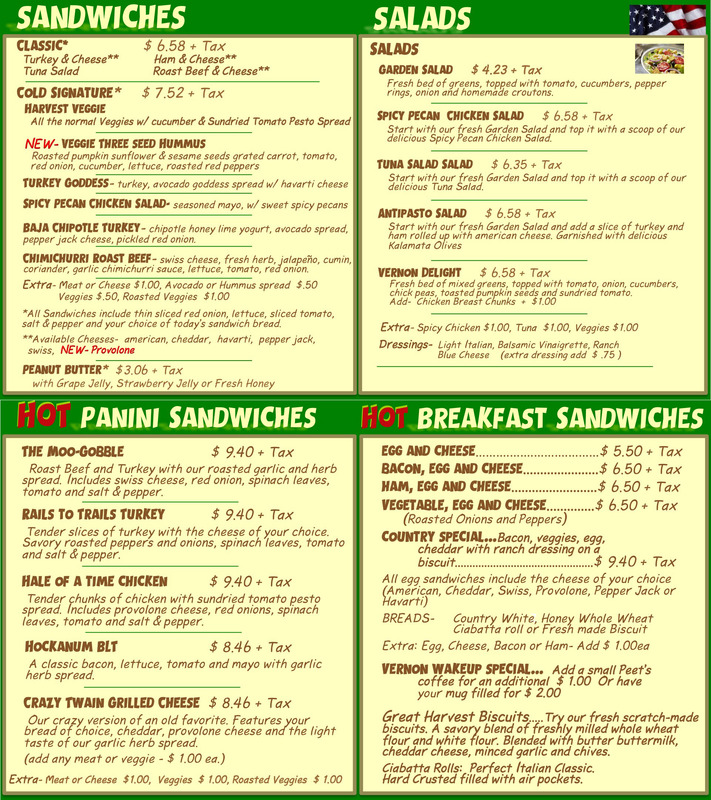 Come in and let us make one for you! 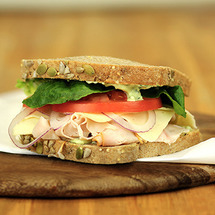 A fresh kick to a turkey sandwich! Piled high with pepper jack cheese, avocado, chipotle honey lime yogurt sauce, shaved cabbage, pickled red onions and tomatoes. Simply Delicious! Chunks of white and dark meat chicken in a seasoned mayonnaise dressing with sweet and spicy pecans. 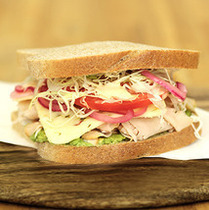 Smoked turkey, avocado goddess spread with the cheese of your choice (American, Swiss, or pepperjack).